Although political scientists and their students tended, prior to the seventies, to approach political theory as the history of political ideas, a rapid growth of interest in political theory as the analysis of political concepts led to the publication of this book. 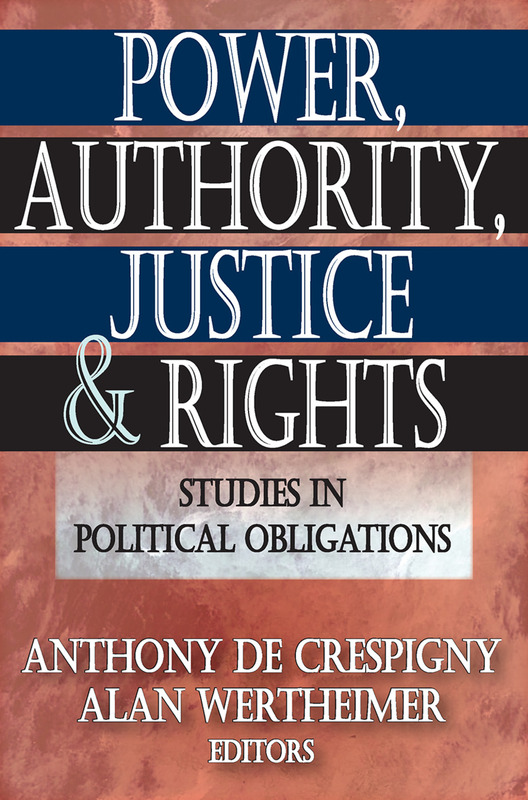 The approach outlined here remains significant today not only for its contribution to normative analysis, but also because it shows how political scientists can view their subject matter with a more profound understanding of the concepts they deal with in their work.De Crespigny and Wertheimer selected fourteen essays on seven fundamental political concepts for this volume: power, authority, liberty, equality, justice, rights, and political obligation. These essays explore the basic ideas and values of politics, and are the works of scholars with considerable reputations as theorists among their contemporaries. They continue to represent some of the best Anglo-American thinking of the century.The editors discuss the nature and possibilities of political theory and, in particular, they examine the adequacy of the criticisms that have commonly been directed at the main works of "traditional" political thought. They provide an incisive introduction to each chapter. These explanatory materials result in a volume that can be used as the primary text in courses in political theory and political philosophy, in a course in the history of political thought, or as a guide to basic issues underlying political thought irrespective of its historical context.